You know it. Bees are somewhat sacred to us. We didn’t just decide to craft honey drinks out of the blue. It’s a way for us to promote and reward the work of organic honey producers and to favor eating habits that help biodiversity instead of harming it. Our engagement to protect bees also finds an echo in sponsoring beehives through a French association called Un toit pour les abeilles (literally “a roof for the bees”). But we wanted to do more. We wanted to spread the word a bit more and help people around us save bees. So we got an idea. Why not offer bee houses to those with a garden to make it easier for them to take care of bees? 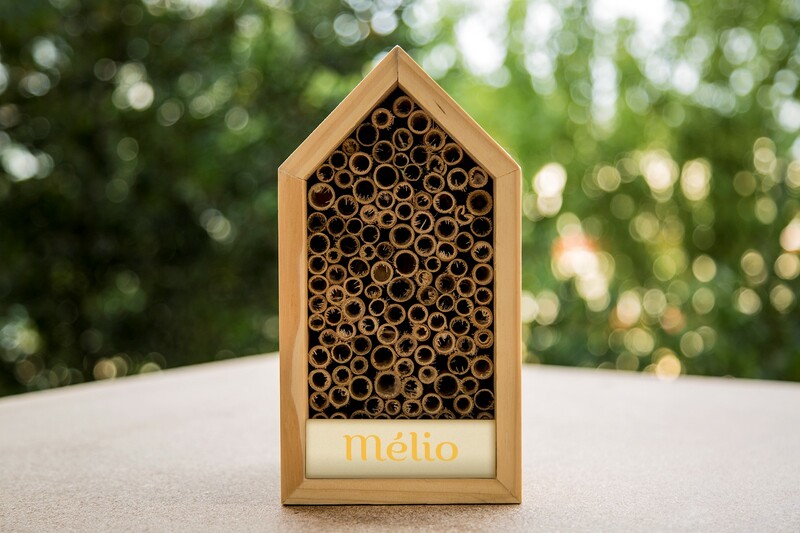 We are talking about mason bee houses, these little lodgings made specifically for solitary (wild) bees to help them reproduce, and therefore survive. More precisely, theses shelters allow females to nest in good conditions. So we began with Charlotte and Simon. We offered them a bee house for their big garden in the South of France, near Aix. He sells optical glasses and she’s a singer, so in all likelihood we’ll have bees with great eyesight and perfect pitch. Just love the idea. Funny thing, their uncle previously had beehives in the garden and he’s just moved them to the mountain. That’s a good thing, maybe there will be a few bees left behind who can be the first to nest in the bee house. 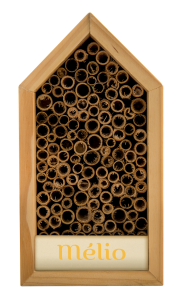 Each Spring, we’ll be offering 10 bee houses through an online contest. So keep an eye open on our Facebook page and Instagram.